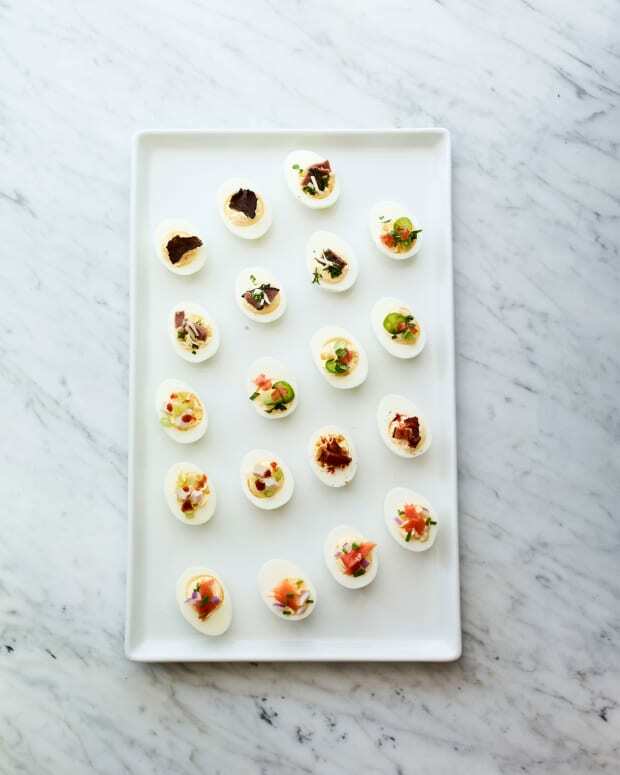 The recent craze for all things “Mad men” inspired this addition to the Derby menu. 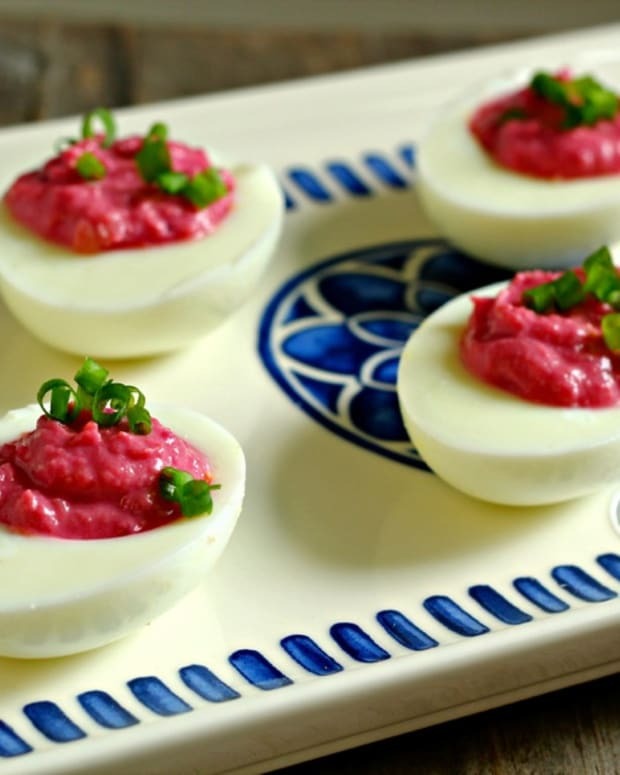 These Deviled Eggs are a retro appetizer that look adorable on the platter and are so simple to make. This is a basic recipe, but you can add wasabi and sesame seeds for a Japanese version, lime and cilantro for a Mexican version or just some simple hot sauce to kick these up on the heat scale. 1. 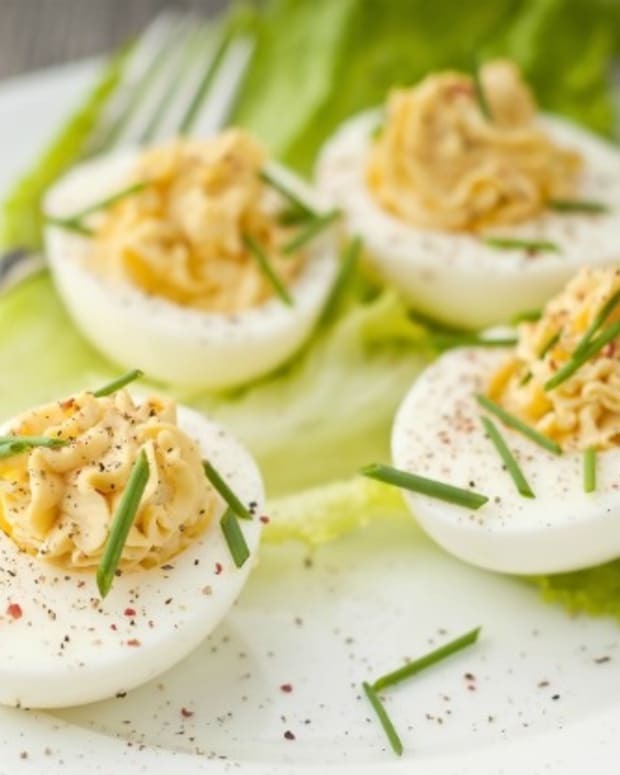 Place eggs in a single layer in a saucepan and fill with water to cover by 2”. Bring eggs to a boil, cover, reduce to simmer and cook for 1 minute more. Remove pot from heat and let sit for 13 minutes. 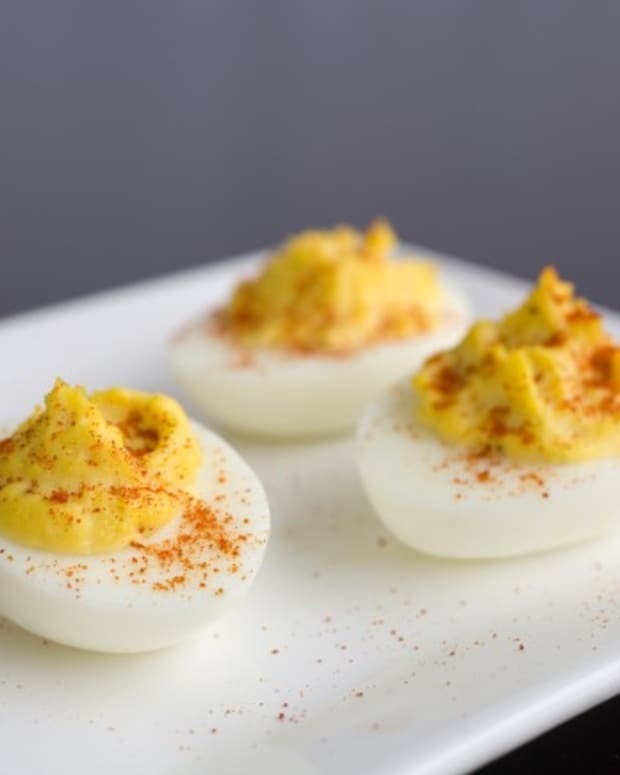 Remove eggs to a bowl and rinse under cold running water for 1 minute. 2. Crack egg shells and carefully peel under cold running water. 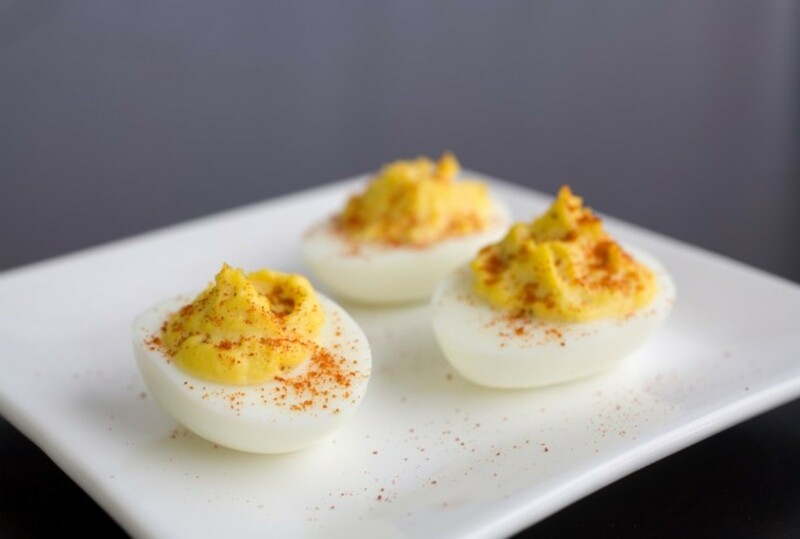 Slice the eggs in half and remove yolks, setting aside. 3. In separate bowl, mash yolks with fork. Add mayonnaise, vinegar, mustard, salt and pepper. Mix well. 4. 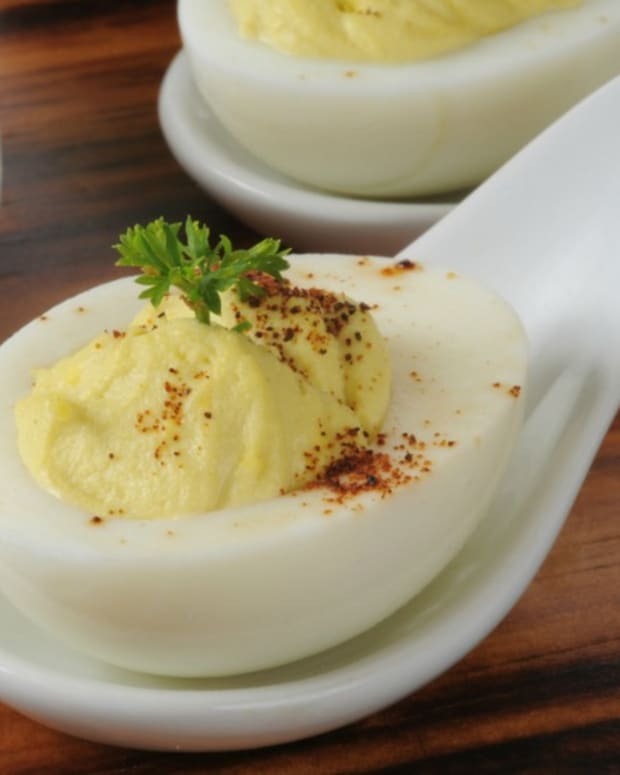 To serve: lay egg whites out on a plate and scoop or pipe the yolk mixture into the hole in the egg whites. Sprinkle with paprika and serve.